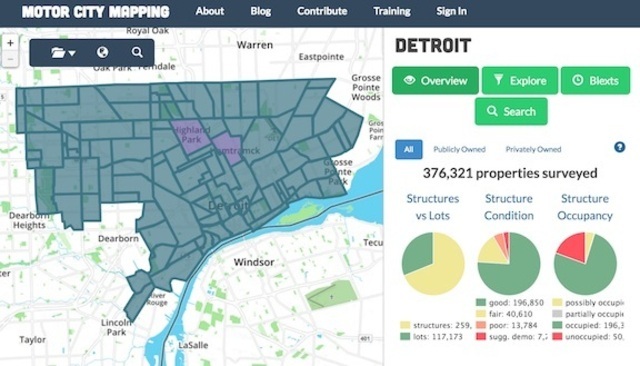 MCM is a comprehensive effort to digitize Detroit’s property information and create clear communication channels back and forth between the public, the government, and city service providers. In Phase 1 of the project, 150 Detroiters surveyed the entire city, capturing photography and condition information for every property. That information was used in the Detroit Blight Elimination Task Force’s report at timetoendblight.com.